LOVELAND PASS – Dangerous snow conditions and the likelihood that no one was caught in Friday’s avalanche in a backcountry area known as the Professor near Arapahoe Basin prompted rescuers to discontinue a search of the slide debris Saturday.”No missing people reports were called in (Friday) night,” said Summit Rescue Group public information officer Mike Schmidt. “Since there are no confirmed bodies, we decided to not go any further because at this point, there’s so much danger up there, we’d have a hard time doing anything safely.”The backcountry avalanche was reported at about 3:45 p.m. Friday on the prominent avalanche path known as the Professor near Arapahoe Basin Ski Area along Highway 6. The slide was about 75 feet wide and fractured about 2 feet deep, Schmidt said. A backcountry skier in the area reported the slide, seeing tracks heading into the debris but not coming out. The skier called 911, then went to A-Basin ski patrol, Schmidt said. The rescue group mobilized Friday afternoon with help from the ski area’s patrollers. A two-man rescue team scoured the avalanche zone for more than an hour, seeing no signs of a burial, Schmidt said. While tracks had been reported into the avalanche, flat light made it difficult to confirm, Schmidt said. In addition, the rescue team did not see equipment or articles of clothing in or near the debris pile, which would have indicated someone was buried. As well, no vehicles were left on the pass overnight, further leading rescuers to determine there was only a low chance someone had been caught.The search Friday was called off at about 5 p.m. as darkness neared. “There’s a 95-percent chance there’s no one up there,” Schmidt said Saturday morning. Since snow conditions remain dangerous, the search would not continue unless new evidence – such as a missing persons report with clues linking someone to the area Friday – surfaced.”There’s a real possibility of getting buried up there,” Schmidt said of Saturday’s conditions. “The mid layer is solid but the layer below that could break down to the ground and rip all the way out. There’s a huge possibility for a big slide.”Schmidt said hundreds of rescues – including parties that do self-rescues – have occurred in the Professor over the years. The popular area includes a cornice that is used as a “kicker” to launch jumps into soft powder below. That action is dangerous, Schmidt said. “You’re guaranteed to launch off into an avalanche load,” he said. “But you can’t stop people from doing that … I don’t think people really look at the entire picture. 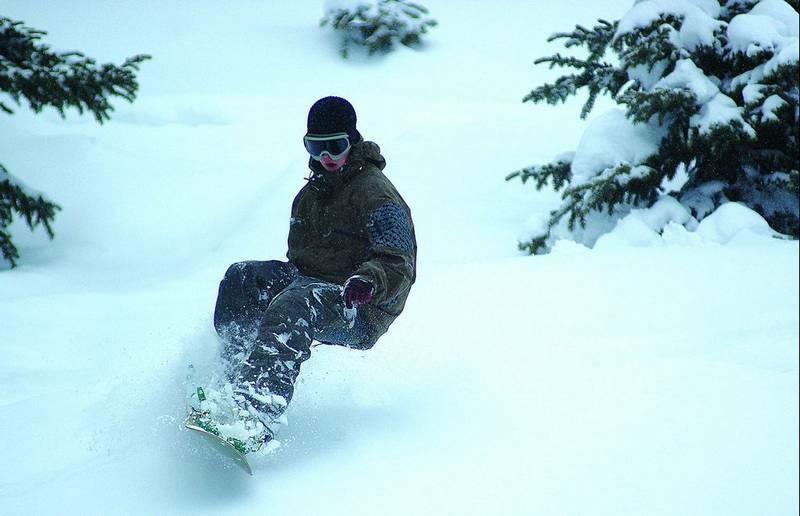 There’s so much more going on than just some fun in the soft snow.”Kim Marquis can be contacted at (970) 668-3998, ext. 13613, or at kmarquis@summitdaily.com.